COLUMBIA, Mo 10/8/14 (Analysis) -- If one loud message has issued from City Hall during the three-year tenure of Columbia city manager Mike Matthes, it's that his staff can choose which laws to obey -- and which laws to ignore. With four steadfast supporters on the City Council -- Trapp, Chadwick, Nauser, and McDavid -- Mr. Matthes is never held accountable for the laws he violates or the tomfoolery that accompanies his approach to hugely important issues. The Demolition Permit Hoax. The Big Lie About Infrastructure. The Illegally-Called Special Meetings. The Opus Petitions. The Lawsuits: Zim Schwartze. Police Officer Chris Kelley. Opus. That's why Proposition 2 -- a new ordinance to increase development fees on the November ballot -- is dead on arrival. Legislators can pass all the ordinances they want. But if the executive branch refuses to enforce them, and legislators do nothing to ensure accountability, laws mean nothing. In theory, Prop. 2 will "double the amount paid by new residential development from $0.50 to $1.00 per square foot," Fourth Ward Councilman Ian Thomas explained in a constituent email urging a "Yes" vote November 4th. But history suggests developers with names like Kroenke, Odle, and Opus will get a pass on higher fees. If Prop. 2 raises fees on anyone, it will be mom and pop builders without the financial or political power to insist City Hall grant a waiver -- or omit a charge. Current development charges cover about 15% of new road and other infrastructure costs, with 85% coming from taxpayers, Thomas insists. In theory, Prop. 2 would help balance that scale. "If Proposition 2 passes," Thomas says, "the share paid by new development will increase to about 35%, while the taxpayer's contribution will be reduced to about 65%." But what's to guarantee Mr. Matthes will hike development fees on the city's most favored constituents: Big Developers? Certainly not seven Council members making $500/month with no staff, no dedicated office space -- and no collective will to hold the executive branch accountable. Holding City Hall accountable falls instead to citizens like retired public works superintendent Bill Weitkemper, who recently identified a violation of an existing development fee ordinance. It's one of many he's found -- and blown the whistle about -- over the last few years. The city violated Ordinance 27-52 by failing to include a "water system equity charge" for a fitness center, study area, cyber café, leasing office, and ground floor restrooms at the Opus Group's new student apartment downtown, Mr. Weitkemper says. 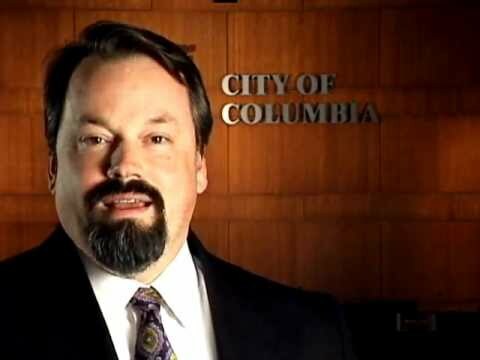 The project has become among the most contentious in Columbia history, largely because Mr. Matthes and his four Council supporters have bent over backwards to accomodate it -- even if it meant violating the law and ignoring thousands of constituents. "The wording of the [water system equity] ordinance -- and the intent of the ordinance -- is very clear," Weitkemper emailed Council members last week. "Opus should have been charged a water system equity charge of $500 for 120 units: $60,000." Weitkemper brings up an important point, I told Councilman Thomas. How do you build in staff compliance? How do you guarantee enforcement? In our 3-branch government system, the executive branch of Columbia city government -- the city manager's office -- has violated the Charter and city ordinances too many times to count (though they demand following the law to the letter when it suits). "They do this with impunity because you and your six peers are hamstrung by time constraints, pay constraints, and lack of resource constraints. And you're deeply divided," I told the Councilman. "You're in no position to enforce anything." Mr. Thomas holds voters responsible. 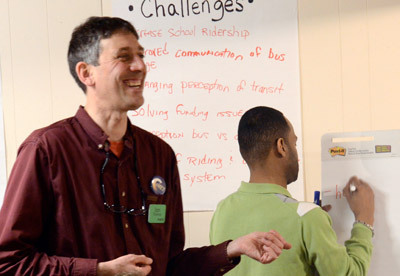 "Council has authority over the City Manager, who has authority over the staff," he told me. "If voters are dissatisfied with Council's use of that authority, they can vote in a Council that serves them better. Cheers, Ian." You are here: Home Politics Campaigns and Elections THE PROBLEM WITH PROP. 2: Will CoMo city manager ignore new law requiring higher development fees?